The Legacy 920 Garage Door Opener has the Option of an Intergrated OHD Anywhere, Is Battery Backup Capable and Provides Quiet Operation. Get superior performance! Built here in America*, this tool boasts the highest power-to-weight ratio in the STIHL gas-powered line, making it the perfect choice for homeowners seeking premium STIHL quality. *Built in the U.S. from domestic and foreign parts & components. Clean up yard waste and leaf piles quickly and easily with this affordable and convenient blower. The all-in-one backpack blower sets the standard with its combination of power, fuel efficiency and durability. Boosts the highest air volume and velocity of all the STIHL backpack blowers with low-emission engine technology. A straight-shaft grass trimmer with a fuelefficient engine and STIHL Easy2Start™. More power, less emissions. The FS 56 RC-E trimmer features a highperformance, fuel-efficient engine that runs cleaner and smoother and provides about 5% more power than the FS 55 R. When it’s not squeezing every last ounce of performance from its upright fuel tank, this straight-shaft grass trimmer keeps the weeds at bay, thanks to its AutoCut® cutting head. ment for the potential borrower. The loan officer helps borrowers understand the “full scenario,” according to Mr Reilly. There are also myths around buying a home that people can dispel when their team is built. “Many people still believe the myth that you need a 20 percent down payment to purchase a home: You have more options than you think,” Mr Reilly pointed out. “While it’s ideal to put down 20 percent to avoid paying mortgage insurance, there are many common financial hurdles such as student loans, rent, daycare, etc. that make saving difficult.” How much you should put down is a personal decision that depends on your finances, he said. “Some loan programs allow you to put down as low as 3 percent and in special cases [nothing.] There are closing costs to budget too,” Mr Reilly added. “When you put down more money, your monthly payment and loan-to-value (LTV) will be lower. The LTV plays a key role in the mortgage approval.” Finding the right real estate agent is “key,” he said. “Find the right real estate agent who knows the market in which you are interested in. They can provide you with helpful information on homes and neighborhoods that isn’t easily accessible to the public,” said Mr Reilly. “Their expertise in the home buying process and negotiating skills are invaluable. It’s important to realize that when making an offer on a home, you have the opportunity to request a seller credit, which is money that can go towards your pre-paids and closing costs. This is a great strategy for a buyer who does not want to pay these completely out of pocket.” Mr Reilly said “it still is a really good time to buy.” “Rates are historically very low. Last week, the Federal Reserve signaled it was done hiking the prime rate for the year,” he said. Later he added, “It is a difficult time to buy only because the inventory is very low.” The number of homes to buy in the area typically increases in the spring, so for those interested in buying a home, it is time to prepare. All cAlls returned within 24 hours! Weekly Lawn Mowing • Spring Clean-Ups Mulching & Much More! 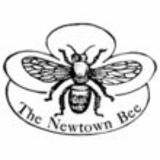 told The Newtown Beeâ&#x20AC;&#x2122;s Home & Garden. She explained that the experience helps children â&#x20AC;&#x153;understand the cycle of life, understand patience and time, and how a vegetable grows. For example, she said, kids can learn that potatoes grow underground, and corn grows on a gigantic stalk, which is not something children could learn from buying these vegetables at the grocery store. Children also can learn â&#x20AC;&#x153;an appreciation for life.â&#x20AC;? â&#x20AC;&#x153;I guess when you watch something grow, you have a different attachment to it and appreciation for what it took to get it to grow,â&#x20AC;? Ms Wales said. Tending plants in a garden also â&#x20AC;&#x153;helps kids understand things later in life, like environmentalism, eating organic food, and seeing the importance of an animalâ&#x20AC;&#x2122;s place in the environment, she said. â&#x20AC;&#x153;When children appreciate their natural space, their garden, they begin to understand the value and wealth in preserving and supporting the environment and its inhabitants.â&#x20AC;? She also added that, â&#x20AC;&#x153;Many studies show that exposure to soil and its elements leads to a lower likelihood of allergies.â&#x20AC;? Getting Started So how does one begin to plan building a childrenâ&#x20AC;&#x2122;s garden? â&#x20AC;&#x153;First, think about the space you have, then decide how big a garden you want,â&#x20AC;? Ms Wales said. â&#x20AC;&#x153;Then think about what you like to eat. 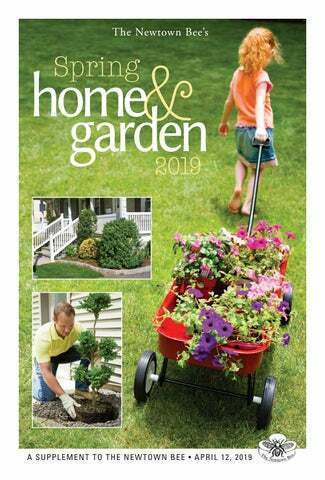 Pick some things to start with and [decide on] five things to plant â&#x20AC;&#x201D; five of your favorite things that the children like, too.â&#x20AC;? Another significant factor to consider is time. â&#x20AC;&#x153;How much time will you have to put into it?â&#x20AC;? she asked. â&#x20AC;&#x153;Once thatâ&#x20AC;&#x2122;s figured out, you can buy your seed packets or actual plants.â&#x20AC;? Some raised beds can be fenced in to protect plants, and so children can watch their plantings thrive, attract insects, and produce tomatoes, squash, and other items they can proudly serve at their own dinner table. Garlic harvested from an organic bed. Think about safety too, she said. â&#x20AC;&#x153;You have to be comfortableâ&#x20AC;? with the plant selection. Plants, such as those in the nightshade family, like potatoes, tomatoes, and eggplant, have leaves, for example, that cannot be eaten. â&#x20AC;&#x153;Children will put things in their mouths,â&#x20AC;? so Ms Wales said even flower selections should be made carefully. â&#x20AC;&#x153;If have young children, itâ&#x20AC;&#x2122;s something to think about,â&#x20AC;? she said. She offers beginners free information about building 4-foot-by-10-foot garden beds, building fenced and raised garden beds, decorative planting, and advice on produce selection and what works well in a shady yard. â&#x20AC;&#x153;We predominantly build raised bed gardens and maintain what we do,â&#x20AC;? Ms Wales said her company has designed â&#x20AC;&#x153;many childrenâ&#x20AC;&#x2122;s gardens. And welcome families to be involved in that.â&#x20AC;? Why Gardening? As a preschool teacher at St Saviors Nursery School in Old Greenwich, she built and maintains the school garden. And in completing her degree in environmental studies, she created her thesis on childrenâ&#x20AC;&#x2122;s connections with the environment. â&#x20AC;&#x153;Through life experience, I began to understand that the way to meet my goal of helping the environment and working towards its betterment was educating and helping children learn how nature works and make connections to nature and gardening.â&#x20AC;? She believes as they mature, children who garden will â&#x20AC;&#x153;have a greater appreciation for making good life choices.â&#x20AC;? Gardening â&#x20AC;&#x153;becomes a place for children to find insects,â&#x20AC;? and â&#x20AC;&#x153;starts to attract things you want to see like butterflies or toads and things,â&#x20AC;? she said. Children will begin to see benefits of the garden â&#x20AC;&#x153;and learn its benefits by just being there.â&#x20AC;? â&#x20AC;&#x153;Have children be as much a part of it as they can be, picking seeds, care, using tools â&#x20AC;&#x201D; it all leads to a richer life experience,â&#x20AC;? she said. â&#x20AC;&#x153;Having a strong sense of ownership leads children to desire a bigger role in the garden care and its wellbeing.â&#x20AC;? Not ready to take the plunge and create a childâ&#x20AC;&#x2122;s garden? There are still ways to make a green difference on your own property, Ms Wales said. â&#x20AC;&#x153;At the very least, most people need to purchase good organic soil and organic plants,â&#x20AC;? she said. â&#x20AC;&#x153;If you can up-cycle the garden bed or vessels for vegetables, you can keep your cost under $75.â&#x20AC;? Ms Wales said she is also available to come and give talks and workshops at other schools, childcare and community centers, or for parent groups. Connect to Ms Wales via her Facebook site, facebook.com/organicgreengardens. Joyce Sidman paints her own picture of one of the first female entomologists, Maria Sibylla Merian. This nonfiction biography, illustrated with full-color original paintings, documents the metamorphosis of the butterfly. any long-term investment?” asks Mr Lehr. “Could they get divorced, go bankrupt, or bring other entanglements?” And if you decide to rent the property, Mr Lehr says there are issues to consider, such as the local market for rentals and your ability to maintain the property. 3. Establishing value of the property. If one heir or beneficiary wants to buy the house, the estate must determine the market value and get a fair price for the heirs and beneficiaries. “One way is to get two appraisals, and to look at estimates from a real estate website such as Zillow,” Mr Lehr says. “Alternatively, the executor can put the property on the market with the expressed provision that one of the heirs has the right of first refusal to match the highest offer.” 4. Repair and renovate? The executor must make sure the house is maintained in good condition, necessary repairs are carried out, and that it’s kept insured. “An executor can be personally liable for failure to maintain a property that results in losses for the heirs,” Mr Lehr says. “But how much work is worthwhile before putting a home on the market? That’s a big question that depends on the property and circumstances.” 5. Furnished or unfurnished? It’s not unusual for an inherited home to be filled with a 30-year accumulation of stuff. “In most cases, when the property goes on the market, thinning out the furnishings will help it show better,” Mr Lehr says. “Nine out of ten buyers first see the home in online photographs.” “Being an executor is a high-responsibility, time-consuming, and often thankless job that people often take on while grieving,” Mr Lehr says. “It’s up to the executor to assess not only the physical assets of an estate, but also the people and emotions involved. Thanks to The Organized Hive, a cluttered junk drawer in the kitchen can become a tidy space with easy access to coffee and tea, as pictured here. By Alissa Silber Sue Duval, owner of The Organized Hive, never considered herself a neatnik. She grew up with organized parents but was not one to obsess about being overly tidy. When she began her corporate career managing grand-scale events, though, she realized just how crucial having attention to detail, people skills, and organization was to creating project efficiency. What she also discovered from the job was that when she came home — late, stressed, and tired — seeing clutter around the house would instantly make her feel overwhelmed. “When I could take a couple minutes to regroup my space and get things put away so that things were tidy, I just felt calmer and in control,” Ms Duval said. After more than 20 years honing her organizational skills in a corporate setting, she was ready for a change in professions— one that would be rewarding and combine her joy of streamlining spaces and simplifying processes. She joined the National Association of Productivity and Organizing Professionals (NAPO) and became the group’s director of marketing for its Connecticut chapter. She has also gained specialist certificates in residential organizing and workplace productivity. “Once I found them, it was like I found my people,” Ms Duval said with a smile. NAPO conducts annual conferences and trains its members in tools of the trade as well as how to work with different types of people to allow them to manage and maintain their spaces practically. “I think all that education helps me serve my clients better, [because] there are lots of organized people, but that doesn’t mean you can organize someone else in a way that’s meaningful,” she explained. “Storing like-with-like pantry items in clear bins helps you to see what you have and what you need to add to the shopping list,” Newtown organizing expert Sue Duval recommends. Ms Duval will be teaching her “Organize Your Kitchen Like A Pro” class offered through the Newtown Parks & Recreation on Tuesday, May 7, from 9:30 to 11:30 am, at the Newtown Teen Center, for ages 18 and older. “I try to keep it light and entertaining,” Ms Duval said. “I think clutter is fun and exciting, but I know everyone else doesn’t.” She will also be leading her “Eliminate Clutter and Restore Calm” class on Saturday, April 27, from 1 to 3 pm, at Journey Yoga and Wellness in Newtown. Ms Duval hopes that through The Organized Hive, she can help people understand that they have nothing to be embarrassed about with their clutter and that they are not alone. “Clutter takes a long time to build. It comes in gradually and sneakily. You don’t really realize that you’re overwhelmed until you are overwhelmed,” she said. “You have to be forgiving to yourself and be patient. Work on progress, not perfection.” To sign up for a free consultation, visit organizedhive.com to fill out the web-form. For more information on The Organized Hive, call 203-628-2322, e-mail theorganizedhive@gmail.com, or follow on Facebook and Instagram @theorganizedhive. Thunderstorms along with the lightning, tornadoes and flooding they can bring, cause the kind of severe spring weather Newtown experienced during an intense macroburst in May of 2018. With spring upon us, Gregory Geaski, a disaster recovery specialist with Servpro of Newtown And Southern Litchfield County, is encouraging local homeowners to be prepared for potentially severe weather events. er is expected (Warning) or possible (Watch) at or near the phone’s location. For the spring season, these alerts include thunderstorms, tornadoes, floods, and excessive heat along with tsunami warnings and rip-current statements for coastal residents and visitors. “As disaster remediation specialists, we know how important advance planning and preparation can be not only for surviving an unexpected event, but also for recovering from it once the threat has passed,” says Mr Geaski. He recommends homeowners follow the advice of the experts: prepare an emergency kit that includes an emergency evacuation or shelter plan, a first aid kit, a three-to-five day supply of water and food, personal hygiene items, medications, blankets, and pet supplies, if you have pets. “Be sure to include important contact, insurance, utility, and medical information stored in a reliable and accessible place like the Servpro Ready Plan App or other readily available spot,” he added. “Having these critical items available to grab and go in both your home and car allows you to quickly move to safety and then take immediate steps toward recovery once the emergency is over.” While it’s important for families and individuals to heed the safety advice of the NWS as the spring severe weather season approaches, it is also important for businesses to prepare for the threats of the new season. “For businesses, advance planning for severe weather and other unexpected events can mean the difference between surviving or closing their doors forever,” according to Mr Geaski. “As many as 50 percent of businesses close down following a disaster, unable to survive long periods of business interruption caused by a disaster and its aftermath. To help address this problem, Servpro developed their Emergency Ready Profile (ERP).” Business owners can work with their local Servpro franchise professional to implement their ERP, beginning with a no-cost facility assessment and employing online tools to document critical facility, contact, and line-of-command information. Having this information in a central, easily accessible location helps facilitate the prompt, appropriate, and efficient response that Mr Geaski knows is critical to getting a business back in business as quickly as possible. For more information on Servpro of Newtown And Southern Litchfield County, contact Mr Geaski at 203-7435362 or greg@servproofmilford.com. For more information on Servpro and the Servpro Emergency Ready Program, visit ready.servpro.com. Create Privacy, Security and Curb Appeal. Reorganizing A Kitchen For Aging In Place The kitchen is one of the rooms in every home where many people spend the largest amount of time. Unfortunately, it is also one of the more dangerous rooms in the home. Aginginplace.org is an online resource with a goal to help more seniors do just that: age in place. The following statistics from that online resource offer a few of the reasons to prioritize a reorganization of the kitchen specifically for an older person: *90 percent of kitchen cloths failed cleanliness tests. *Foodborne disease causes 76 million cases of illness in the United States alone, according to the centers for Disease Control and Prevention. *More than 150,000 kitchen fires every year are caused by cooking equipment — with 460 fatalities. *Lacerations from kitchen tools account for 42 percent of hand injuries that are seen by ER professionals. *A home without a fire alarm is twice as likely to have a fire, according to the US Fire Administration. *Unattended cooking equipment accounted for 45 percent of home fatalities from 2002 to 2005. *34 fatal burn injuries occur each year from scald burns out of the kitchen. *After age 65, falling becomes the leading cause of death in the home, with many slip-and-fall accidents occurring on wet kitchen floors. spills should be cleaned up immediately, and wet floors should never be walked on. Comfortable shoes that fit well or socks with non-skid soles can help. Flooring can also be updated to something with a less slippery surface. Spoiled food should never be left in the refrigerator. Eating outdated or spoiled food can lead to food poisoning and worse. Refrigerators should be cleaned out weekly. Check expiration dates on food such as meat, eggs, and milk. Throw out unsafe items. The pantry should also be checked regularly. Outdated dry food can also create unnecessary health issues. Keep emergency contact information handy and updated. A refrigerator is a good place to post such information, as well as in a wallet, billfold, or purse. Make sure the kitchen has a working fire extinguisher. Review the Home Instead checklists for all rooms in a home by visiting homeinstead.com/102/documents/ home-safety-checklist_instore_booklet(2).pdf. Worried Efficiency Upgrades Will Downgrade Your Classic Home? Do you have a classic or vintage home? If you do, Eversource blogger and energy expert Enoch Lenge says replacing old appliances will not only enhance your home’s interior living space, but increase your home’s resale value, improve your family’s quality of life, and decrease your environmental impact as well. ly’s quality of life, and decrease your environmental impact. For a list of Energy Star-certified appliances and products, go to energystar.gov. So, how do you get started? Eversource, through Home Energy Solutions (HES) offers in-home energy assessments with our authorized contractors. Additionally, HES program contractors can help identify rebates and incentives. In Connecticut, residents can take advantage of financing opportunities like the HES Payment Plan, a zero percent interest loan that provides up to $3,000 toward qualified energy efficient home improvements. For more information on how you can get started on your home energy efficiency projects, call 877-WISE-USE or visit the Save Money & Energy pages on eversource.com. *New contracts only. Not to be combined with any other offer. Not valid with jobs in progress. Limited time only. Auburn Landing Inc, a general contracting firm based in Georgetown, has constructed many upscale residential projects in southern Fairfield County towns, including Greenwich, New Canaan, and Ridgefield, according to proprietor Jeff Andrews. The firm’s work has included the architectdesigned construction of new houses, outbuildings, additions, and restorations. The firm has worked on about ten glass-walled structures over the past decade, Mr Andrews said. The glass-paned permanent greenhouses that the firm has constructed are built upon concrete foundations that extend below the soil’s frost line, he said. Clients seeking a residential greenhouse at their property typically will have a preference for growing flowers or vegetables. “Every person’s needs are different,” Mr Andrews said. Orchids often are favored by those who grow flowers. The types of glass panels used in a greenhouse vary, Mr Andrews explained, adding that simple, single-paned glass may be used, or doubled-paned panels may be employed, which provide a higher heat insulation value. To provide suitable ventilation for the plants grown within, greenhouses typically have some panels that open to allow for air flow, he said. Some greenhouses have automation that includes self-opening panels. While a firm like Connecticut Greenhouse Company might build a commercial plasticsheet greenhouse as large as 30 feet wide by 300 feet long, Auburn Landing might build a custom residential glass-paned structure that is 10 feet wide by 15 feet long. Mr Andrews said that residential greenhouses his firm constructs may be freestanding buildings or may be attached to an existing structure, such as a barn. The greenhouses have gravel floors and wooden walkways. The structures contain benches upon which plants are grown within containers. In the past, the glass-paned structures that his firm built often were solariums, functioning as glass-walled additions to houses. Freestanding greenhouses for plant growing have increased in popularity, he said. Company acquired the Lord & Burnham name and product line and then manufactured greenhouses under the Lord & Burnham name. Mr Diesl said the smallest greenhouse that his firm would construct for a residential client measures 15 feet wide by 25 feet long. Besides greenhouses, the company has built solariums and conservatories. Some clients hire architects for their greenhouse projects, while others let Glass Garden handle the design work, he said. The firm does its greenhouse work in the continental US, Mr Diesl said. Mr Diesl noted, “Every greenhouse is different,” depending upon a client’s requirements. The company’s work involves the construction of both freestanding greenhouses and greenhouses that are attached to buildings, he said. Glass Garden restores antique greenhouses, including repair work to heating and air conditioning equipment, ventilation motors, plumbing, electrical, and sandblasting, plus structural work and foundation repairs. Contact Glass Garden via its website at glassgardens.co. Driveway Sealing (min 1000 sq. ft.) Must mention coupon upon estimate. Coupons may not be combined with any other offer. Any Masonry Service of $1000 or more Must mention coupon upon estimate. Coupons may not be combined with any other offer. Must mention coupon upon estimate. Coupons may not be combined with any other offer. one was talking about. The show’s message spoke to her in such a way that the wife, mother of three, and business owner was inspired to add even more to her plate and begin implementing the organizing method — for her entire multi-story house. “Typically speaking, I’m very organized to begin with…” Ms Suba explained. “We’ve cleaned up before and organized before, but what’s interesting about this method is that it basically is an evaluation about what you are getting rid of and what you are keeping.” This concept of thinking critically about each item and the value it has helped when she considered how the family plans to move in the next few years. “If I don’t see it coming to California with us, then why are we keeping it?” Ms Suba said. As a practicing Buddhist and self-proclaimed hippy, she appreciated the KonMari Method’s emphasis on feeling a sense of thankfulness for the item being in her life. “The thing about [Marie Kondo’s] method that I really take away is that gratitude piece — to appreciate an item then get rid of it,” Ms Suba said. She also enjoyed the element of ownership the process creates when having to take everything in a category out at once, like dumping out entire drawers of items or emptying closets and dressers from top to bottom. “When you pull everything out at the same time, you are overwhelmed with the amount of stuff. It almost is anxiety producing,” Ms Suba admits. However, once the task is completed both she and her family members have found it is much easier to maintain the organization. Ms Suba enlisted her husband, Michael, to help with the spaces they share jointly, and her children have also used the KonMari Method to declutter their rooms. “I feel like if you don’t do it, you won’t have any investment in it,” she explained of her decision to have her family participate. Already, the majority of the Suba household is completed, with the exception of the last category of sentimental items and Ms Suba’s professional/personal papers that she tackles little-by-little between tidying other areas. Ms Suba is happy with the results of using the KonMari Method, despite the initial stress it may have caused, and calls the family’s kitchen a “utopia” now. Those interested in learning more about implementing the KonMari Method in their lives can contact Karin Socci of The Serene Home at theserenehome.com or 646-8721345. Tidying sessions can be booked online. find another solar provider. • How long will it take to begin realizing savings on my energy bill? It depends on your market and the size and type of system you get. Some consumers see an immediate savings and some see more long-term savings. On average, people can save about 30 percent on their energy bill. There are ways to customize a system that will accommodate the individual needs of most consumers, and in some cases, you can even get a solar system installed at no cost to you. • Are there tax incentives available? Your energy consultant can help you identify what federal and state tax incentives are available to you. Taking advantage of tax breaks can help make the upfront cost of solar installation more manageable. • Which manufacturers do you use? Ensure the equipment manufacturer will be around long enough to honor its warranties. Find out what brand of panels, inverter, and batteries you’ll receive and if there are third-party reviews or tests of them to verify their quality. • How does maintenance work? Find out how often your system requires maintenance and if it is covered by a warranty. • What are the next steps? What is the process from signing the agreement to installation? How long does this take? To learn more about going solar at home, visit lgcypower.com or call 844439-2717. Solar energy is not only a smart move for the planet, it’s a smart move for your wallet, with the potential to save your household considerable money over the long run. But making an informed decision is crucial. Ask the right questions for the greatest benefits. Attics are one area where mold can frequently be found. Restoration 1 of Southern Connecticut owner Tom O’Hara offered examples of different mold. This mold is growing near the bottom of a wall. Mold can be seen dotting this piece of wood. go unnoticed for a long time. “It’s all about ventilation in an attic. If there is no proper ventilation in an attic, mold will grow there,” said Mr O’Hara. Later he said, “Mold takes three things in order to have microbial growth.” He listed mold spores, an organic food source, and moisture as mold’s three needed things. “There are over 100,000 different spore species,” said Mr O’Hara, adding that they are everywhere. Keeping a home clean can deplete one form of an organic food source: dust. He also recommends maintaining moisture levels in a home between 35 percent and 50 percent humidity levels. “Mold growth can happen above 60 percent [humidity],” said Mr O’Hara. Dark, damp, and humid basements are another area mold “loves,” according to Mr O’Hara. The easiest way to find mold is to smell it, but that can be tough with other odors in an area, Mr O’Hara explained. Mold can also be spotted. Visible mold growth should be tested by a lab. Mr O’Hara recommends proactive approaches like cleaning and looking at windows for early morning condensation on the inside, which would show a problem that could otherwise go unnoticed. “Focus on any moisture and dust,” said Mr O’Hara. With summer returning, Mr O’Hara recommended “setting up your dehumidifier,” checking gutters, and making sure everything is draining away from the house. More information about Restoration 1 of Southern Connecticut is available on its website, restoration1.com/southern-connecticut. Mulch • Top Soil • Decorative Stone Masonry & Landscape Supplies Pipe & Geotextile Fabrics Paving Stones & Retaining Walls, etc. cil from 1997-2004. Mr Ugalde received the state home building industry’s highest honor, the Charles J. LoDolce Award, in 2011. An effective advocate and spokesperson on a broad range of housing issues, Mr Ugalde has served on the HOMEConnecticut Steering Committee, the National Land Use Attorneys Network, the Governor’s Blue Ribbon Commission on Affordable Housing, and the Town of Burlington’s IWWC and Parks & Recreation Commission. In 1998, he received the Hartford Business Journal’s 40 under 40 Award. Community involvement is important to Mr Ugalde. He has served on the AvonCanton-Farmington Youth Hockey Association Board for more than 15 years, including as its president. A certified coach in hockey and little league, he has coached more than 20 teams. He also served on the Westminster School Board of Trustees, including as its Audit Committee chairman. An accomplished member of the American, Connecticut, and Massachusetts bar associations, Mr Ugalde continues to serve on the Planning & Zoning Section Executive Committee of the Connecticut Bar Association. to birds in a way that won’t obstruct your own view. “Protecting birds adds beauty to your garden, is good for the environment, and most importantly, saves lives,” says Spencer Schock, founder of WindowAlert, a company that offers UV decals and UV Liquid. The UV decals and liquid from WindowAlert have been proven to effectively alter the flight path of birds to prevent window strikes. The coating will look like etched glass to the human eye but be very visible to a bird. As UV reflectivity may fade over time, it’s important to replace the decals and liquid every four months. Application techniques can be found by visiting windowalert.com. Build a Bird house — Add beauty to your yard with a wooden bird house. Find a design you love or get creative and craft your own using your own home’s architecture for inspiration. A strategically placed bird house — either within three feet of a window or more than 30 feet away — will help avoid bird strikes. Be a good neighbor — not just to the other humans. Make improvements to your home that will help protect both local and migratory wildlife. THE SEEDS HAVE AWOKEN, THE PETALS UNFOLDED, THE FLOWERS BLOSSOMED. IN THE SPIRIT OF SPRINGTIME, WE WOULD LIKE TO INVITE YOU TO VISIT AND TAKE A STROLL THROUGH SHAKESPEARE'S GARDEN AT HISTORIC BURR FARM. Christian Rogers at yardmasterz.com recently created a Buyers Guide to help consumers plug into the emission-free options in electric mowers, and he recommends consumers consider these factors: Battery Voltage & Run Time — Cordless mower battery voltage can run from 40V to 84V. Rogers says you get more run time from a larger voltage battery, similar to engine horsepower. Blade Cut Width — Rogers says get the widest cut you can afford, but don’t sacrifice battery voltage or other convenience features just for the larger cutting width. Mower Weight — Most cordless mowers weigh 40 to 90 pounds — powerful, yet light enough for just about anyone to use without problem, Rogers says. Single Vs Dual Blades — Rogers doesn’t think dual blades are a “must have” — but whatever type or size blade, he says it’s more important to keep those blades sharp. Yard Size — Rogers says if your lawn is larger than 1/3 acre, consider a model where you can swap out the battery when the first one has run down to increase range. Available only at your locally owned Cub Cadet dealer, the XT2 Enduro Series™ delivers high levels of performance, power, comfort and convenience. Deluxe Hydrostatic Transmission allows for smooth and simple operation. There’s no shifting; just push a pedal and go. Corrosion defense system with e-coat for best-in-class protection. Incredibly responsive handling comes from new, optimized steering system for exact control and maneuverability. UNLIMITED HOURS. 5-YEAR CHASSIS AND FRONT AXLE. 3-YEAR POWERTRAIN. *Product Price – Actual retail prices are set by dealer and may vary. Taxes, freight and handling charges may be additional and may vary. Models subject to limited availability. Specifications and programs are subject to change without notice. Images may not reflect dealer inventory and / or unit specifications. ***Built using the highest-quality components sourced locally and globally. **Limited warranty – 5-year chassis and front axle, unlimited hours. 3-year and (4-year GSX) powertrain (engine and transmission) unlimited hours. Normal wear parts 30 days. For full warranty details, visit cubcadet.com or your local dealer. says will save owners around $7-8 per hour compared to a similar gas engine mower. The CXR line boasts a three-blade side discharge deck, 36hp equivalent power, and up to seven hours continuous operation, LEM Life — that means up to 8,000 mowing hours from its rechargeable battery with half the noise at 78db (CXR-52) or 82db (CXR-60). For a smaller property, perhaps the Mean Green WBX33HD, which is priced at about $8,500. It’s 33-inch mower fits through any three-foot gate or doorway. The WBX33HD operates up to seven hours continuous, provides a battery life of 9,000 hours, and is powered by a 25A (110V) or 35A (220V) battery juiced by a four-hour charger. It takes the place of a push mower in a lot of yards and creates a relatively quiet 78db with enough power to handle any type of grass, the manufacturer says. By comparison, the consumer class Ego 21-inch selfpropelled mower with its two-battery Peak Power system retails for around $750 and provides 90 minutes of run time. The company’s manually propelled Ego 21-inch Power + Mower with its 56V Lithium-Ion battery offers a 21-inch deck and up to 45 minutes running time with 5.0Ah battery for around $399 Already have an electric mower? The morningchores.com staff recently singled out Black+Decker’s LST420 High Performance Trimmer and Edger — and the high-torque 12A Black+Decker LE750 Two-in-One Edge Hog Edger among this year’s best. And when it comes to power sources, all the cordless mowers that thetoolreport.com reviewed for 2019 use lithium-ion batteries and brushless electric motors that offer huge advantages in power output, time to charge, usage time, and battery usage efficiency. Learn more about Mr Delventhal’s Fairfield Countybased gasoline-free landscaping movement at mowgreen.us. STONY HILL HARDWARE Serving Your Community For Over 30 Years! Complete Line of Hardware, Paint, Lawn & Garden, Hand & Power Tools, and Much More! color and replacing those outdated band posters for a grown-up look. The Garage — For many people, the garage is the first interior space they encounter after a long day. Unfortunately, it’s also often the dumping ground for old tools, children’s toys, and items with no place to call home. Built-in storage can help with organization, and adding a layer of colored floor protectant will make your garage seem more polished and presentable. If you use the garage as a workshop, the introduction of a cool breeze can revitalize strenuous home projects and ensure proper ventilation. Check out ceiling fan design options that can stand up to the elements, such as the Brunswick or Cedar Key from Hunter Fan Company. The Home Gym — When it comes to getting in shape, motivation is key, and having a beautiful, enjoyable space while working towards your goals can make all the difference. Get a better workout by updating your home gym with new mats, colorful dumbbells and a brand-new sound system. Avoid overheating with the latest smart tech, such as the SIMPLEconnect Symphony, a fan that can be controlled from your mobile device or an automated virtual assistant, such as Siri, Google, or Alexa, so you can be comfortable without interrupting your treadmill session. For greater comfort, health, and use of your home, consider how you can incorporate beautiful and easy interior design elements into every room. SERVICE CALL With this coupon only. Expires 12/31/18 Not to be combined with any other offer. TOTAL REPAIR www.advancedappliancect.com With this coupon only. Expires 12/31/18 Not to be combined with any other offer. Tips to Protect Your Jewelry And Valuables (StatePoint) From engagement rings to family heirlooms, your jewelry and other valuables are timeless and important. Luckily, there are steps you can take to help keep these items safe. Insurance experts from Travelers have put together the following tips to help you protect your most treasured possessions: 1. Insure Your Engagement Ring Immediately: Engagement rings hold great sentimental and monetary value, but many individuals don’t think to cover them under an insurance policy. Valuable items policies, such as a personal articles floater (PAF), insure individual pieces that have a value that may exceed the limits of your homeowners policy. Travelers also offers the option to insure the ring at the same time you insure your wedding. You can learn more by visiting protectmywedding.com. 2. Store Your Jewelry in Unlikely Places: Burglars often know exactly where to look for jewelry and other valuables. Storing your most prized pieces in uncommon spaces, such as a bookshelf or your bathroom, can add an extra layer of protection. methods for keeping jewelry clean. Harsher methods, such as ultrasonic cleaners, can damage certain stones. 4. Monitor Extreme Temperature and Light Exposure: Light and heat can affect the color of gemstones and metals. Extreme temperatures can also damage clasps, making it easier for stones to fall out of beloved pieces. 5. Know Your Homeowners Insurance Policy: While homeowners insurance covers your home and its contents, typical policies only cover up to $1,500 of jewelry. If your jewelry has a higher value than that, it’s worth considering an additional policy, such as a PAF or the Valuable Items Plus program from Travelers, both of which provide coverage for items of higher value. You can ask your insurance agent or carrier about other policy options, including what their limits are and how to add them to your overall insurance program. It may be hard to imagine the theft or loss of your most valuable possessions, but these things happen, and that’s why it’s important to take steps to protect your jewelry. With customizable insurance options and care, you can help make sure your jewelry survives each day. Light Control feature to ensure viewers get great visuals. Powered on and off in as fast as five seconds, this mercury-free, energy efficient choice is right for hosts who don’t like to make their guests wait. *Decorate: Your decorations should evoke the spirit of the season. Think garlands, fresh flower centerpieces, paper lanterns, and vibrant colors. *Make Music: No party is complete without music. Whether you’re hosting a jam session or karaoke night, take advantage of the season by taking the musical fun outdoors. A versatile portable keyboard such as the CT-X700 can help you get the party started. It comes with the AiX Sound Source, which faithfully reproduces the sound of acoustic instruments such as guitars, wind instruments, and more, as well as 100 built-in songs, 600 tones, and 195 rhythms. It also includes a class-compliant USB-MIDI port that connects to most devices with no drivers or installation needed, making it a good choice for an outdoor set-up. This season, be the host with the most by taking the party outdoors. potential to retain a sophisticated keyboard touch and authentic timbre of a grand piano. For example, the new design of the Casio Privia PX-S1000 keyboard reproduces the individual response characteristics of each of the 88 keys on a grand piano and its Bluetooth audio playback feature allows you to connect to your device and play along with your favorite songs. 3. Greater climate control. Heading to the airport but forgot to adjust your thermostat? Want your home to be a comfortable temperature when you arrive home from work? Next-generation, smart thermostats offer you the ability to get a better handle on climate control while potentially lowering your utility bills. 4. The right light. You can set the right mood for the right occasion in every room of your house by creating programmed scenarios through a smart lighting system. A smart lighting app can also improve home security, making your home looked lived in while you are away. 5. Beefed up entertainment. You can go beyond a standard home theater and gaming area with the installation of a projector that offers a great quality picture, long lastingbrightness and a fully connectable interface. The SLIM Seris of LampFree Projectors from Casio, for example, require little to no setup time and provide projection at maximum brightness in as few as five seconds, for a truly immersive home theater experience. Comp Desig lete Insta n & ll Servi ation ces!